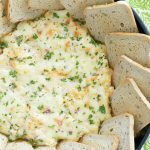 Guinness Cheddar Dip is like an Irish version of beer cheese and is a terrific last-minute appetizer to make for your St. Patrick’s Day celebration. We are actually hosting a St. Patrick’s Day party for the first time in many years so I need some good Irish(ish) snacks for the festivities. Guinness Cheddar Dip is so fast to mix together. Buy some frozen pretzels or pretzel bites for dipping and you are ready to go. What’s the food that first comes to your mind when thinking of St. Patrick’s Day? I used to think of beer first so it makes sense to want to mix an Irish beer like Guinness into my food for St. Patrick’s Day. I like making Reuben sandwiches for a family dinner if the holiday isn’t on a weekend but I have a great Reuben Dip to try too. I’ve made a really delicious chocolate cake with Guinness before too. You can find that recipe here. Guinness Cheddar Dip is like an Irish version of beer cheese and is a terrific last-minute appetizer to make for your St. Patrick's Day celebration. With a hand or stand mixer, whip together the softened cream cheese with the Guinness, Worcestershire sauce, mustard, garlic powder and salt until smooth. Add the shredded Irish cheddar cheese and blend on low until combined. Fold in the chopped green onions with a spatula. Place the dip in a bowl and cover. Refrigerate for two hours before serving. 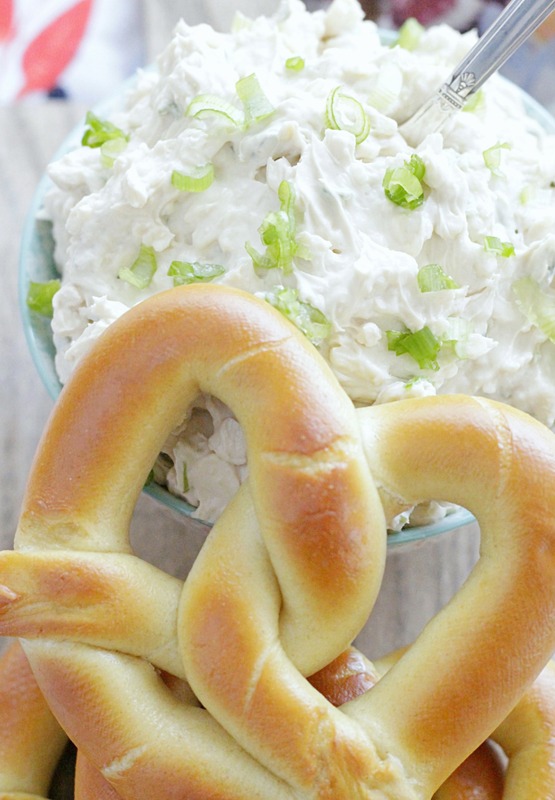 Serve the Guinness cheddar dip with baked soft pretzels. I didn’t think I was hungry until I saw this. Wow, I need to make this pronto! Guinness and two types of cheeses?! YES PLEASE. This sounds awesome! I would never have thought of putting beer in a dip. Now I am intrigued. Yep, you should totally try it! This dip looks so amazing! 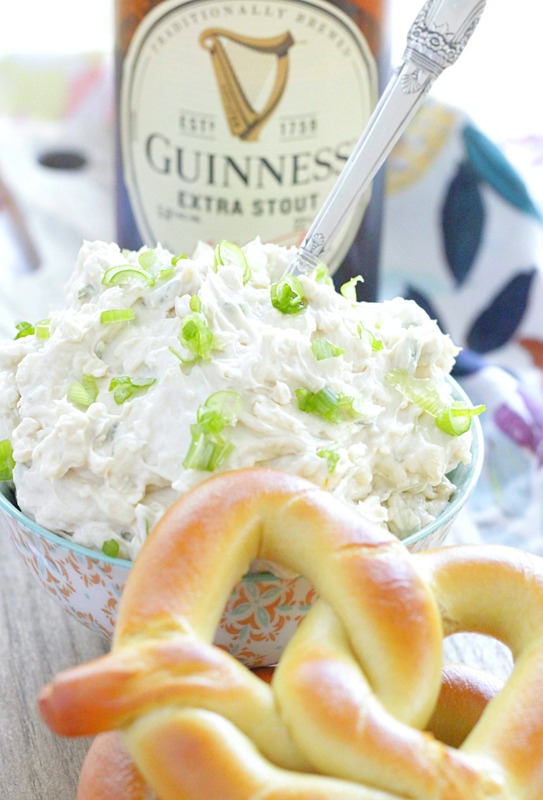 Seriously perfect timing for a Saint Patrick’s day appetizer! This looks so fresh and perfect for St. Patricks day! Your photo’s are fabulous too! Thanks so much Kathi I appreciate the compliment about the pics! 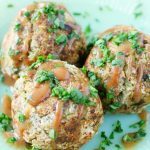 I was looking for some Irish themed appetizers for a party I’m going to on St Patrick’s Day and this looks so easy and sounds amazing! My local Grocery Store has pretzel balls that you can buy and bake, so that will be a perfect accompaniment!! So glad to hear this. I was actually looking for pretzel bites (I had seen them at my store before) but of course the day I went to make this for photographing all I could find were the full-sized pretzels. I hope you like it. Come back and let us know what you think! This sounds so good. 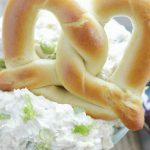 I love soft pretzels with cheese dip, and adding Guinness!? Even better!! 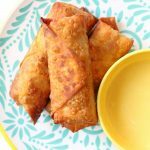 Totally pinning this appetizer! It looks delish and perfect for St. Paddy’s Day! Omgosh stahhhhp it…I nothing but WANT this in my face right now. 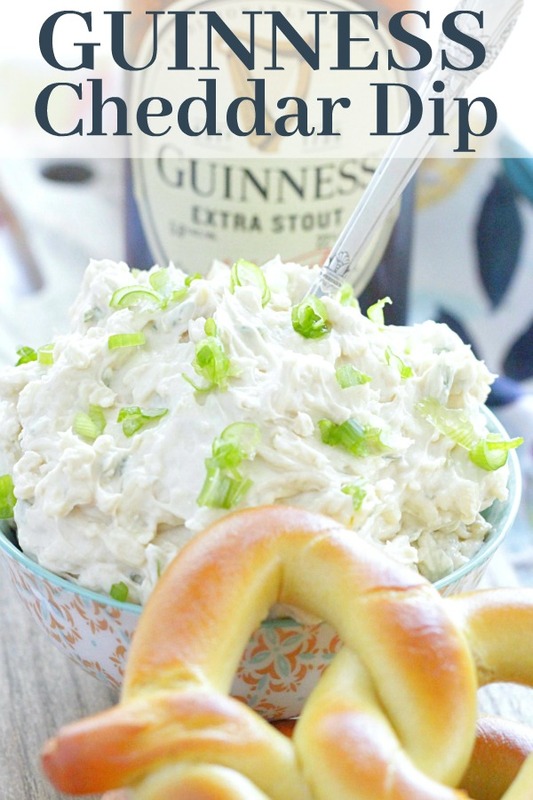 I love the ingredient lineup and it reminds me of a cheese dip I make…only without the Guinness, which is clearly making your dip a WINNER! Pinning for later…just YUMMM! Glad you like it – thanks so much Traci! What an awesome alternative to plain ol chips and dip! Love beer and cheddar together so this can only be good! It’s so good. 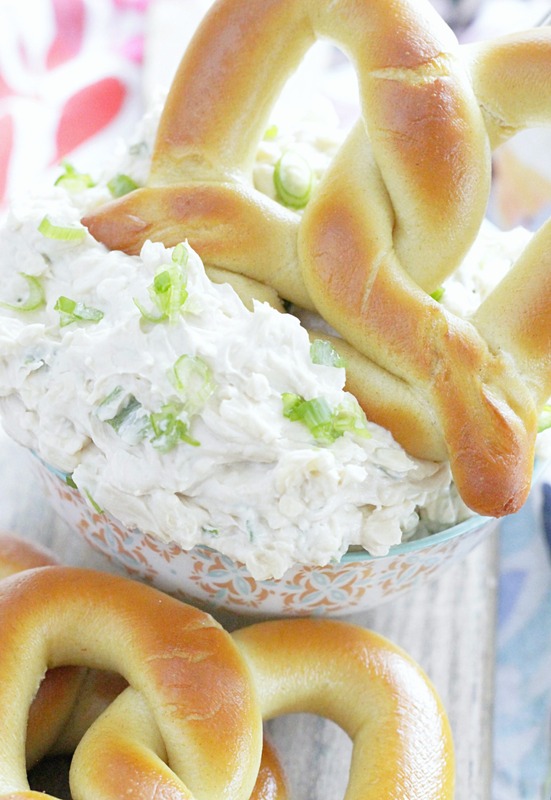 The hot pretzels really make this dip extra special. Great recipe for a St. Patrick’s Day party! I’d add 1/2 the suggested salt and Worcestershire sauce next time, as it’s a bit too salty for my liking, especially with crackers. Good point on less salt with crackers – the Rye bread I toasted didn’t have any salt. Thank you for the feedback! Question: I am interested in making this for a party I’m hosting this weekend (St. Paddy’s themed, ’tis the season!) Realizing that the bailey’s curdles when dropped into Guinness in an Irish Car Bomb, I’m curious if the same curdling reaction happens when the Guinness is added to the dairy in this recipe?